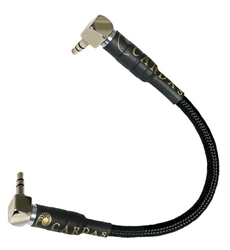 A very fine high end mini to mini cable from Cardas! 6 Inches in length. 30 Pin Dock to USB 2 1/2" AudioQuest DragonTail USB Extender Lightning to USB Cable 30 Pin Dock to Mini A USB 4"